Liverpool are set to face Porto in the home leg of the Champions League quarter-final tonight. The Reds cruised through a comfortable 5-0 aggregate win over Porto in the round of 16 last year, and they should fancy their chances of overcoming a similar hurdle against the Primeira giants. Alisson Becker has been largely impressive in the Champions League games at Anfield where he has yet to concede a goal from four appearances. He will be eyeing a fifth successive home shutout in the competition against Porto. In the defence, Joel Matip and Virgil van Dijk are certain to feature at the heart of the backline, though the Reds will have an enforced change in the full-back positions. Scottish left-back Andrew Robertson has been suspended after accumulating the maximum yellow cards for a one-game ban, and he should be replaced by James Milner in the role. Trent Alexander-Arnold is expected to feature in the opposite end. In the midfield, Jordan Henderson could return to the fray in the holding role ahead of Georginio Wijnaldum, who may need a breather amid his constant presence in the past eight months. Alongside the skipper, Fabinho and Naby Keita are likely to start and the latter should go into the game with confidence after bagging his maiden goal for the club on Friday night against Southampton. In the attack front, Jurgen Klopp has no reasons to change from the regular combination. Sadio Mane and Mohamed Salah should feature on the left and right side of the attack respectively with Roberto Firmino leading the line. 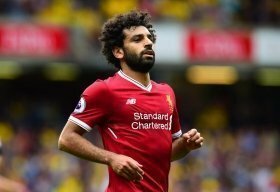 Salah recently ended his eight-match goalscoring drought at St Mary's, and that should offer him with a boost ahead of the meeting versus Porto. Salah's goal at Southampton made him the fastest Reds player to net 50 Premier League goals.